Our ultimate full grip breeches, designed for the perfect fit. 4-way stretch fabric gives the rider the ultimate riding experience. 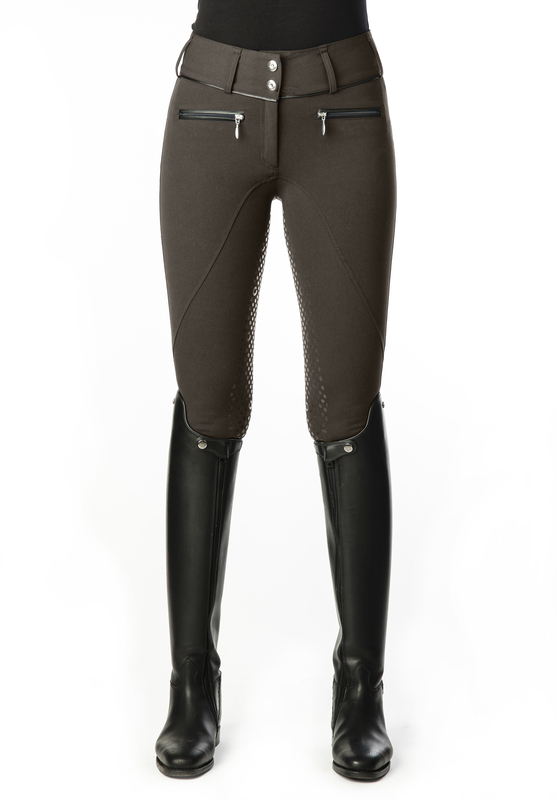 Gorgeous mud colored breeches with leather details with anatomically designed waistband. Full seat silicon grip to keep you steady in the saddle. Both the material and manufacturing are made in Europe and keep highest possible quality level. Our ultimate full grip breeches will immediately be a favorite in the wardrobe!